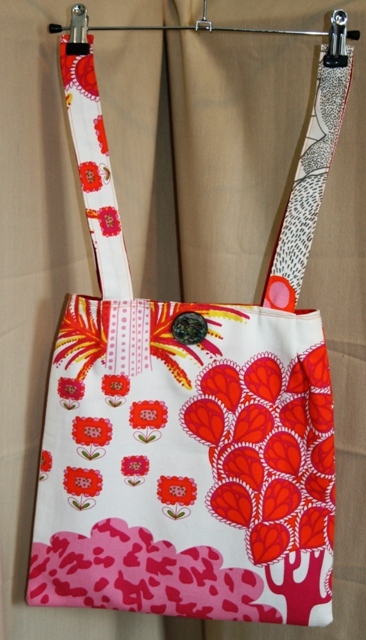 A hand made, vintage style bag, made in a heavy weight fabric and fully lined. 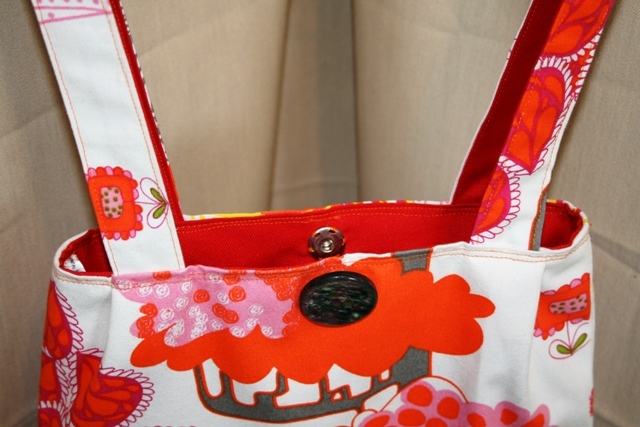 The fabric is a cream base with a vintage pattern in pink, orange and yellow. It has been fully lined in red cotton drill. It has two straps in matching fabrics and has a stud fastening with button decoration detail. The straps are 11" (28cm) in length. 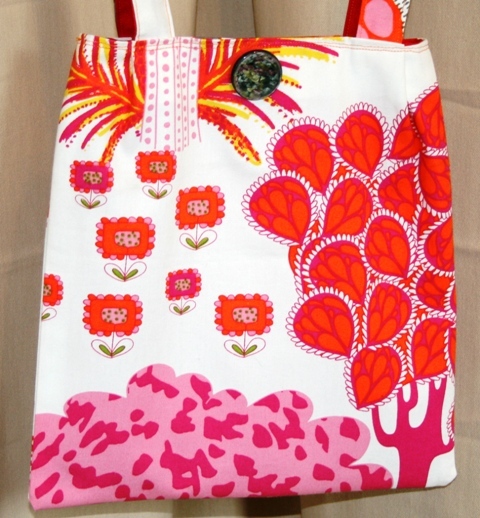 A bright, fun, bag, suitable for your shopping needs.